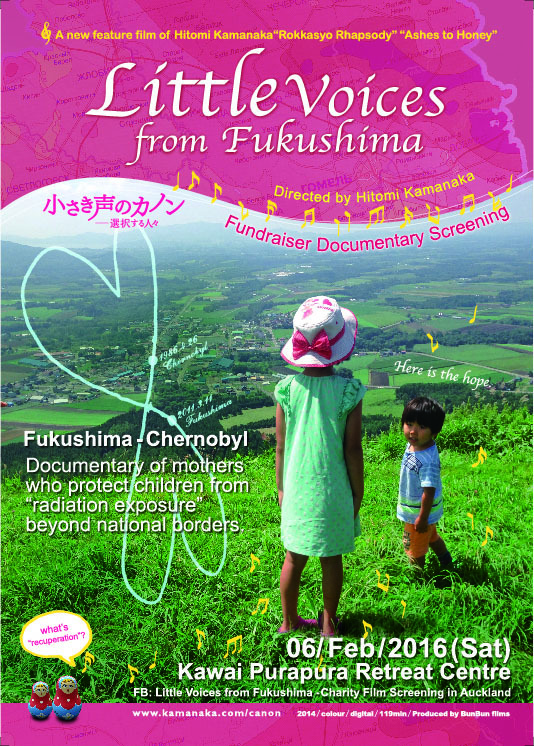 Charity Film Screening - "Little Voices from Fukushima"
First time for your viewing in Aote Aroa / New Zealand! It is a story of lives of families, especially mothers, after Fukushima nuclear accidents. A Japanese filmmaker Hitomi Kamanaka is renowned for her series of films on the nuclear energy issues. This documentary is her latest work, based on her three years of reporting on Fukushima nuclear accidents. 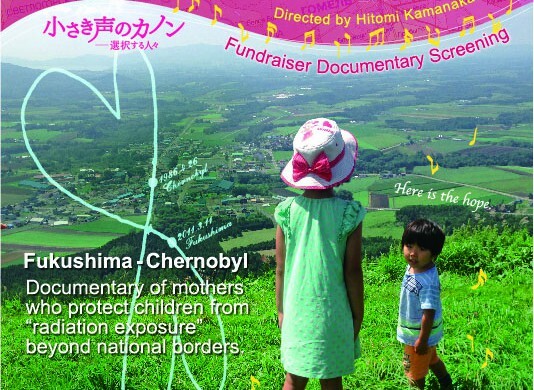 Please join this movie fundraiser to see the lives of mothers who work to protect children from “radiation exposure”. -Director Hitomi Kamanaka will appear on Skype to join the event (for the 10:00-12:00 am screening). She has a message to tell you and the people of Aote Aroa / New Zealand. -An experienced clinical psychologist, Kou Kunishige, will join us (for the 13:30-16:00 screening). Based on his counselling those affected by disasters in Tohoku for the last several years, he will facilitate us connect the documentary to OUR experiences as individuals. -Seeing is an action. 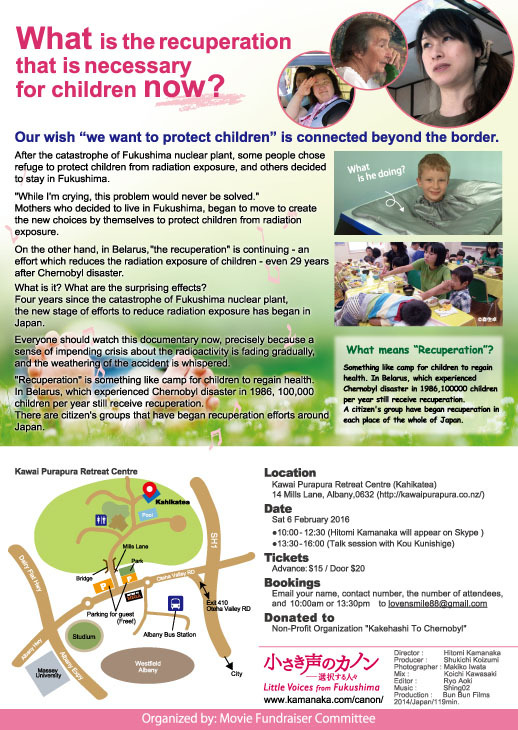 All the proceedings will be donated Non-Profit Organization “Kakehashi To Chernobyl”, who is also featured in this film, supporting children of Kanto region to reduce radiation exposure.